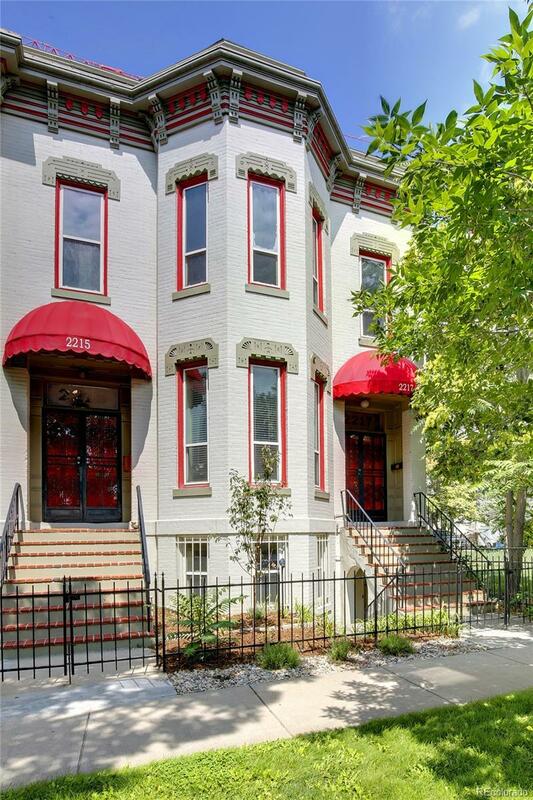 Rare and Beautiful Historic Downtown Brownstone. Built in 1889 this is one of the finest brick Brownstones in Denver. Beautifully updated with an open floorplan for today's lifestyle. This home features 13ft ceilings, exposed brick, exceptional high quality finishes, Tall cherry doors, wood floors, smooth finished walls. No tacky orange peel here. Gourmet kitchen with stainless steele appliances. Modern gas fireplace. 2 car detached garage off common park like back yard. Large walk in closet. Lower level can be a separate apartment or live work office space. HOA allows office or rental of lower level apartment unit.